21:05:35 | "kayble HIT TheHellfireShow by fist into LeftArm." 21:13:07 | "Spaggie has fallen into unconsciousness." 21:13:22 | "SoG has fallen into unconsciousness." 21:13:23 | "TheRunningManZ HIT Spaggie by Crafting_LongWoodenStick into LeftArm." 21:13:24 | "Spaggie has fallen into unconsciousness." 21:13:24 | "TheRunningManZ HIT Spaggie by Crafting_LongWoodenStick into head." 21:13:24 | Player "Spaggie" has been killed by player "TheRunningManZ"
21:13:32 | "TheRunningManZ has fallen into unconsciousness." 21:14:50 | "SoG has fallen into unconsciousness." 21:14:50 | "TheRunningManZ HIT SoG by Crafting_LongWoodenStick into head." 21:14:51 | "SoG has fallen into unconsciousness." 21:14:51 | "TheRunningManZ HIT SoG by Crafting_LongWoodenStick into head." 21:14:51 | Player "SoG" has been killed by player "TheRunningManZ"
21:15:34 | "Langeloeg HIT Judge Ned by Cleaver into head." 21:15:34 | Player "Judge Ned" has been killed by player "Langeloeg"
21:22:23 | "Wimpie84 has fallen into unconsciousness." 21:22:23 | Player "Wimpie84" has been killed by player "Rockerz"
21:23:40 | "Rockerz has fallen into unconsciousness." 21:23:41 | Player "Rockerz" has been killed by player "RJ"
21:38:01 | "TheHellfireShow has fallen into unconsciousness." 21:38:01 | "BoXman HIT TheHellfireShow by BaseballBat into head." 21:42:01 | "kayble has fallen into unconsciousness." 21:42:14 | "TheHellfireShow has fallen into unconsciousness." 22:07:40 | "TheHellfireShow HIT kayble by FirefighterAxe into RightArm." 22:47:52 | "litefoot has fallen into unconsciousness." 22:47:52 | Player "litefoot" has been killed by player "SillyBilly"
23:11:09 | "Spaggie has fallen into unconsciousness." 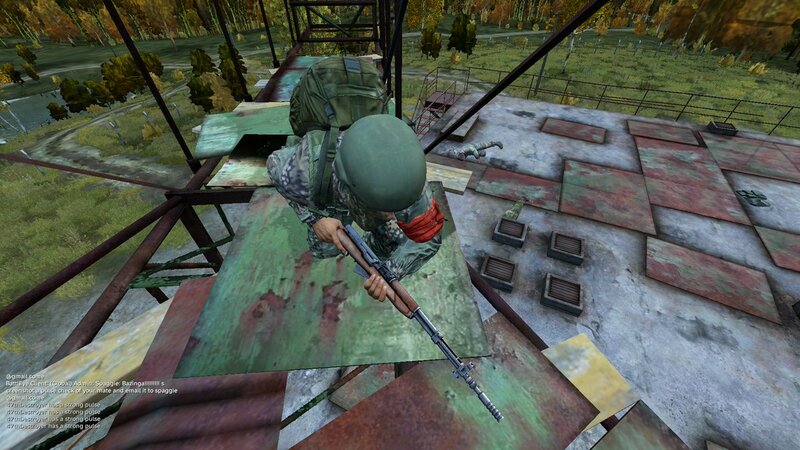 23:11:09 | Player "Spaggie" has been killed by player "edvard"
23:11:26 | Player "Shelly" has been killed by player "edvard"
23:42:34 | "[FTQ]Aleksei has fallen into unconsciousness." 23:42:34 | Player "[FTQ]Aleksei" has been killed by player "Brian"
23:43:47 | "Toex has fallen into unconsciousness." 23:44:00 | "Brian has fallen into unconsciousness." 23:44:09 | Player "Brian" has been killed by player "Red"
23:46:11 | Player "TheHellfireShow" has been killed by player "Aldo Raine"
23:47:06 | Player "TheRunningManZ" has been killed by player "Aldo Raine"
00:15:50 | "BoXman has fallen into unconsciousness." 00:15:50 | Player "BoXman" has been killed by player "TheHellfireShow"
00:27:30 | "Stinky Pocket has fallen into unconsciousness." 00:27:30 | Player "Stinky Pocket" has been killed by player "edvard"
00:35:00 | Player "Toex" has been killed by player "PvtMorph"
00:39:02 | "[FTQ]Neo HIT Greenie77( by WoodAxe into LeftArm." 00:49:48 | Player "[FTQ]Aleksei" has been killed by player "Greenie77"
00:49:56 | Player "Spaggie" has been killed by player "Greenie77"
00:50:35 | Player "Wimpie84" has been killed by player "47thDestroyer"
00:55:22 | "DVS DrFuckallot has fallen into unconsciousness." 00:55:22 | Player "DVS DrFuckallot" has been killed by player "SillyBilly"
00:59:56 | Player "SillyBilly" has been killed by player "edvard"
01:00:17 | "RJ has fallen into unconsciousness. HARD HIT Total S::5651.85"
01:00:17 | Player "RJ" has been killed by player "Greenie77"
01:02:36 | "Greenie77 has fallen into unconsciousness." 01:03:10 | Player "edvard" has been killed by player "Snake"
01:06:52 | "GordonFreeman has fallen into unconsciousness." 01:06:52 | Player "GordonFreeman" has been killed by player "TheRunningManZ"
01:06:55 | "Snake has fallen into unconsciousness." 01:06:55 | Player "Snake" has been killed by player "PvtMorph"
01:10:48 | "TheRunningManZ has fallen into unconsciousness." 01:10:48 | Player "TheRunningManZ" has been killed by player "Nuno"
01:14:26 | "PvtMorph has fallen into unconsciousness." 01:14:26 | Player "PvtMorph" has been killed by player "Nuno"
01:21:52 | "TheHellfireShow has fallen into unconsciousness." 01:21:52 | Player "TheHellfireShow" has been killed by player "kayble"